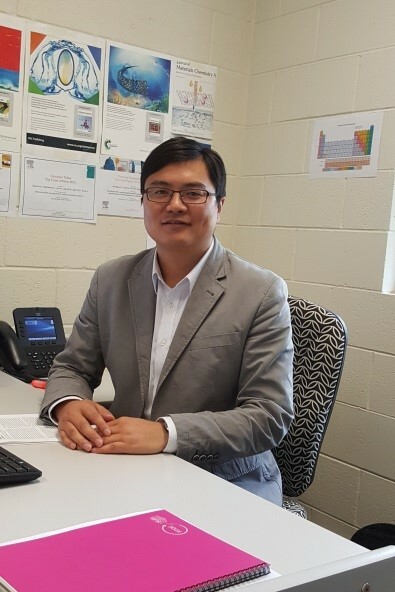 With great pleasure, we would like to congratulate a previous PhD graduate (June 2008), Hongqi Sun, for his recent appointment to an Associate Professor position (Level D) in Australia. Dr. Sun joined our group under the supervision of Prof. Jin in June 2003, and received his PhD degree in June 2008. He moved to Curtin University (Australia) to take up a research fellow position (Level A) in January 2009. With a number of successful funding applications and bulk publications, he was promoted to Curtin Research Fellow (Level B, 2013) and Senior Research Fellow (Level C, 2015). Five months after promotion to Level C, he was appointed to an ongoing Level D position by Edith Cowan University (Perth, Australia). He was recruited through a worldwide campaign directly led by the new Vice Chancellor. Before this, he declined the matching offer from Curtin University but accepted the Adjunct Professor position. His appointment partially represents our world-leading education capability for postgraduate students. We wish him all the success to his future endeavours.